Online Driving Professor offers the most up to date, state-approved, parent-taught teen driver education course in Texas. Take our course anytime, anywhere, and on any device. Even take your Texas Learner License exam online with us, and earn your Texas Learner License in a matter of days. Our interactive course includes high quality graphics, pictures and videos, as well as free practice tests and other resources to get you ready to drive. Our Texas-based customer service team is always available to assist you. It’s Quick and Easy to Get Your Texas Learner License. 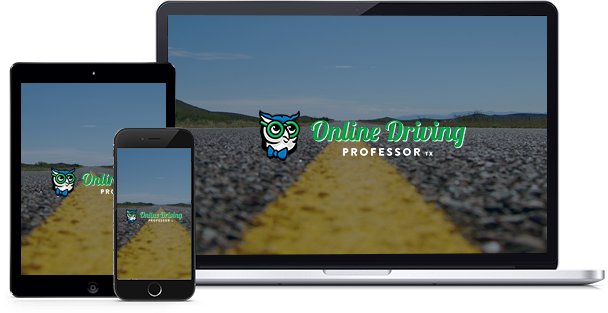 Start with Online Driving Professor Today! Sign up in minutes, take the course immediately and start driving in days. Created by Texas students and parents who understand the busy lives of teens. Take the course on your phone, tablet, or computer anywhere, anytime. Our curriculum includes the latest driving course material needed for a permit or license. 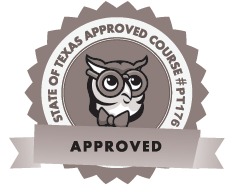 Online Driving Professor is approved by the Texas Department of Licensing and Regulation and meets all current state requirements. Online Driving Professor includes awesome pictures, graphics, interactive quizzes, videos and audio to help you learn and remember better. Trained in Texas laws, regulations and driving knowledge. Our course is available around the clock – after school, practice, or homework, and on the weekends.